Executive Search is a special technology used to select candidates for key leadership positions. This service requires an exclusive relationship with the client based on a full understanding of their business needs as well as team evaluation. In Kontakt InterSearch Russia, negotiations with candidates and clients in Executive Search-projects are conducted by the partners and directors of the company. Kontakt InterSearch Russia provides comprehensive recruitment services for the selection of top and middle managers. Most projects are carried out by the most effective method of direct search. 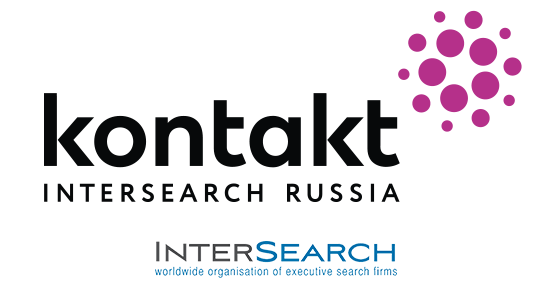 Kontakt InterSearch Russia has an extensive database of candidates with more than 500,000 profiles – this allows us to quickly and efficiently solve client tasks. The issue of attracting independent members to the Board of Directors has recently been relevant more than ever. In-depth expertise of Kontakt InterSearch Russia consultants helps not only to select the most professional and efficient managers onto the Board of Directors, but also to correctly evaluate their work. By being members of InterSearch – an international network of Executive Search Agencies – we are able to use Western practices to attract independent directors as well as to find the best managers not only in Russia, but also abroad. Comprehensive personnel assessment is one of the tools to build a competent team and determine its potential. Kontakt InterSearch Russia uses various assessment methodologies. Talent Q methodology is used in Executive Search and Management Selection projects. Hogan and Thomas methodologies are used to evaluate external candidates as well as current employees. This helps transfer employees to higher positions, form talent pool, create individual development plans and optimize HR-resources in general. Since 2010, Graduate Recruitment in the company has been represented by a separate project named YounGo. As part of Graduate Recruitment, we provide a full range of services – from advertising campaigns and candidate attraction to assessment centers organization and employment monitoring in your company. YounGo team can join the project at any stage and carry it out according to the criteria set by the client. Since 2010, Employer Branding in the company has been represented by a separate project named YounGo. Maintenance and promotion of employer's image among young people often require large financial and time costs. Our company can develop a strategy to promote an employer-brand that most effectively solves the problems of our clients as well as realize turnkey projects that interest them. As part of employer branding, we develop creative concepts and organize events of different scale and level of complexity: these include "brand days", establishment of deep partnerships with universities of your interest, organization of federal campaigns and much more.